Nepal Foreign Affairs (Kathmandu Jan 21) : Japan has urged the Islamic State (ISIL) to release its two citizen who are being hostage by the ISIL. 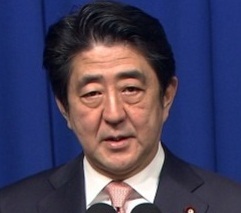 Issuing a warning notice to the Japanese nationals, the Prime Minister’s Office of Japan has urged the ISIL not to harm the two Japanese nationals. On 20th January, just before 1500 (JST), a video clip, which seemed to have been produced by a terrorist group that proclaims itself as the “Islamic State (ISIL),” was uploaded online. In the video, a warning has been made that the two individuals, who seem to be Japanese nationals, will be executed. “If this is true, such an act of blackmailing through holding the innocent lives as hostage is utterly impermissible, and we feel strong indignation. We strongly urge the group not to harm the two Japanese nationals and to release them immediately,” read the notice. The notice has also said that Japanese Prime Minister Abe’s trip to the Middle East this time is intended to send a message that Japan will actively contribute to the stability of the Middle East region. “Japanese assistance, which we have announced and amounts to approximately 200 million USD, is for humanitarian assistance and infrastructure development, and it is non-military in nature. In any case, Japan will not give in to terrorism, and our position of contributing to the counter-terrorism efforts by the international community remains unchanged,” the notice added.